After a traumatic event such as death of a loved one or an accident, a person may develop an anxiety disorder called acute stress disorder (ASD). This ASD usually occurs within one month of a traumatic event and may last up to a month. ASD is often caused by witnessing or experiencing a traumatic event. The symptoms of this disorder include a combination of one or more dissociative and anxiety symptoms with evasion of reminders of the traumatic event. The dissociative symptoms include temporary memory loss, depersonalization, emotional detachment and derealisation. A diagnosis is based on a patient's history and a physical examination to rule out any other disease that can cause anxiety. Treatment for this disorder includes a combination of antidepressants and short-term psychotherapy. 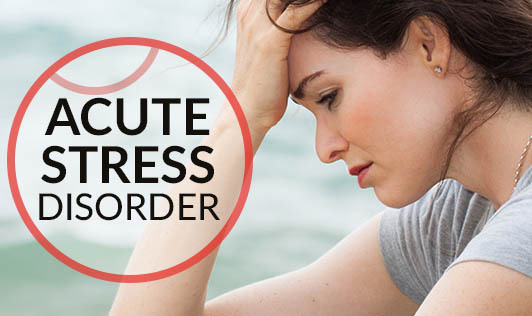 Seek help immediately if you experience symptoms of ACUTE STRESS DISORDER!